A series of biographical lectures originally published in 1850. Each chapter is a philosophical treatment of the life of an intellectual. 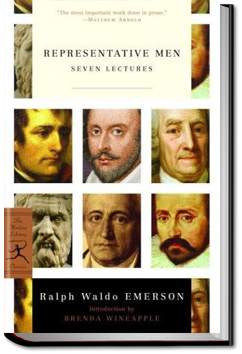 The six representatives are Plato, Swedenborg, Shakespeare, Montaigne, Napoleon and Goethe.